This week on “Getting to the Bottom of It,” our news editors and reporters discuss how GW would respond to a mass shooting and the departure of the Vice President for Research Leo Chalupa. The Hatchet’s culture editors also talk about the satirical stickers you’ve been seeing on the laptops in your lecture halls. 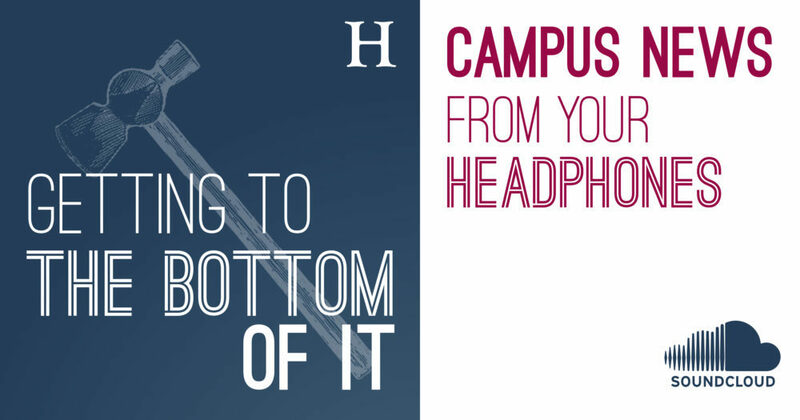 “Getting to the Bottom of It” is hosted by news editors Leah Potter and Meredith Roaten and features culture editors Liz Provencher and Matt Dynes. This podcast was produced by assistant video editor Arianna Dunham, managing editor Tyler Loveless and assistant copy editor Emma Tyrrell. Music was produced by Aulx Studio. Special thanks to Valarie Yurk for joining us.